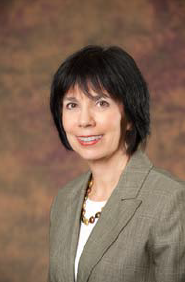 Marva Sheehan has been the Executive Director for the West Valley Solid Waste Management Authority since 2013. From 2005 to 2013, Marva was the day-to-day manager for the West Valley Solid Waste Management Authority under the direction of HF&H President, Robert Hilton. Ms. Sheehan has been working in the recycling and solid waste industry since 1992. Her financial and accounting experience dates back to 1978. Ms. Sheehan began working for HF&H Consultants in 2005 and is now Vice President of HF&H’s northern California solid waste practice. Prior to joining HF&H, Ms. Sheehan was a controller in the solid waste industry, participating in management of solid waste and recycling collections, MRFs, transfer stations and landfills. Marva is a Certified Public Accountant and a member of the California Society of Certified Public Accountants. She holds a Bachelor’s degree in Business Administration from the University of California at Berkeley. Kirsten M. Powell has been the Authority Counsel for the West Valley Solid Waste Management Authority since 2001. Her practice focuses on municipal law and land use. She has served as the City Attorney for the City of Scotts Valley and the City of Monte Sereno since 2004 and the Assistant City Attorney for both cities from 1996-2004. She is also District Counsel for the South Santa Clara Valley Memorial District.